TECKIN floor lamp is Widely use for most rooms and offices to reading, working, studying, drawing, and playing etc. 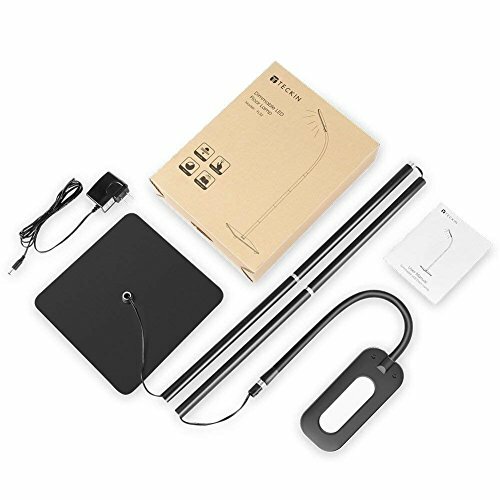 Made of Lightweight metal material, 360°flexible neck and touch control, 3 color temperatures(each color temperature has 4 brightness Level), it is suitable for different environments. 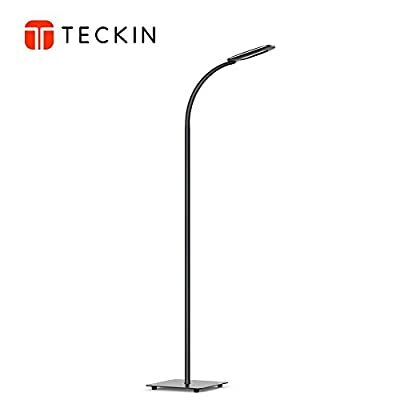 ?Teckin floor lamp is FCC, ETL approved product. If any questions about product, please feel free to contact us, we provide 7/24 customer service and technical support. Long-lasting & Energy-saving: This lamp includes a 8 watt energy-saving LED lamp(its brightness is equivalent to an 100W incandescent lamp). With 30,000 hours lifespan, it will last for more than 20 years.Saving money and energy. Stable & Safety: The steady base provide a good stability from falling when knocked by kids or pets. It is with a sturdy lamp shell to offer a well protection for the inside LED lamp. The LED lamp provide a flicker-free and anti-glare light to brighten your living room and workplace. Optional Light Modes: This LED floor lamp present 3 colors modes. 3000K warm white, 4000K natural white, and 6000K cold white, which respectively for different environment. With an operation memory to remember your light preference. 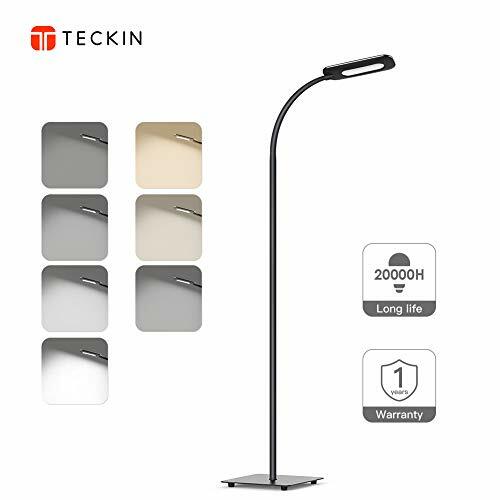 Flexible Neck & Sensitive Control: With soft and rotatable gooseneck, it is easily to bend and twist the lamp and get properly on your items. And with the sensitive control, you can set the brightness by 4 lighting levels (800 lumens Max) to match your activities and requirements. 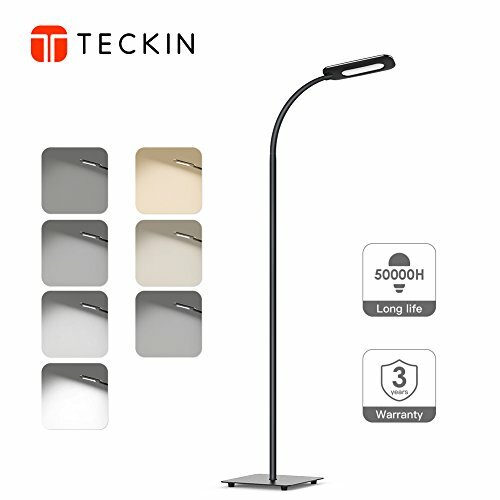 Quality Guaranteed: Teckin floor lamp is FCC, ETL approved product. If any questions about product, you can contact us, we provide 7/24 customer service and technical support.